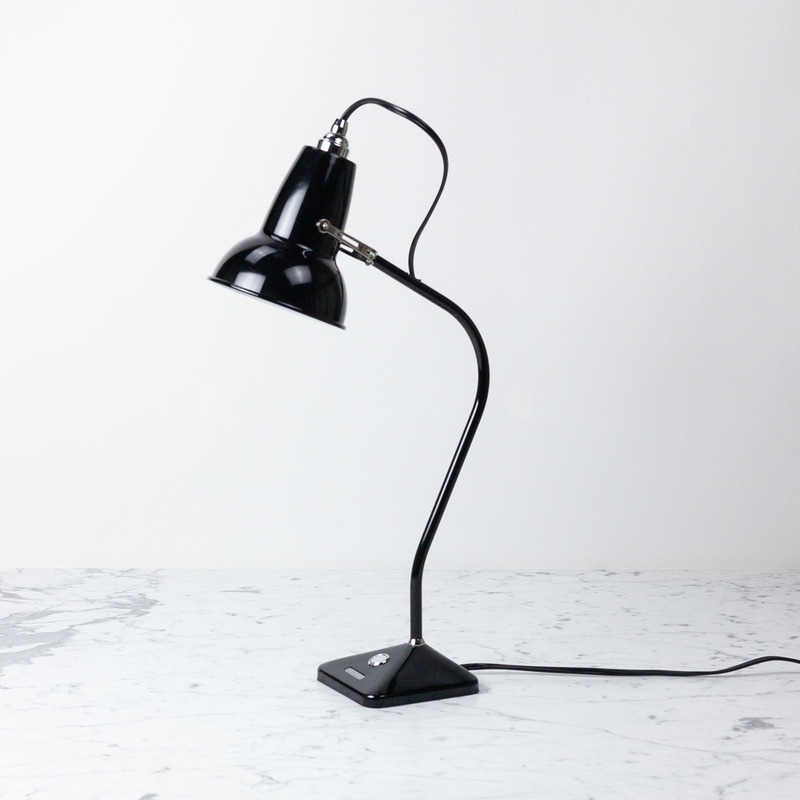 A streamlined, fixed-arm version of the classic British Anglepoise lamp, this has all of the sophisticated panache of the original with a slimmer footprint, a pyramidal base, and a perfect high-gloss sleek black palette. These iconic lamps are built to last. When an Anglepoise Navigator lamp (produced for RAF pilots during WWII) was found in the belly of a Wellington bomber at the bottom of Loch Ness by salvagers looking for Nessie (! ), all they had to do was put in a new bulb and plug it in. 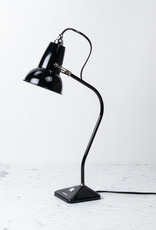 We don't necessarily recommend submerging your lamp for 40 years, but we can vouch for these as just the thing for bedside, end-table, kitchen counter, or drafting board. Steel shade, Chrome plated fittings, Cast iron base with steel cover, Steel profiled arm. Dimensions: Shade diameter: 5.7", Shade height: 5.5", Max reach: 20.5" (from base to shade), Base: 5.1" x 5.1", Cord length: 70.9", E12 lamp holder (fits Candelabra Base bulbs).